Left: This complete bathroom renovation includes an espresso stained vanity with matching mirror. 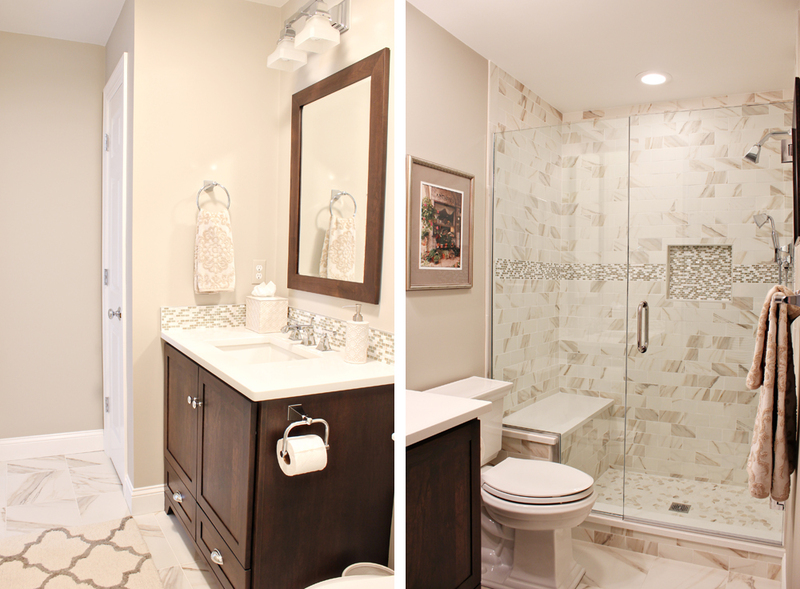 Right: The glass-enclosed shower is tiled in durable porcelain that looks like Calcutta marble. 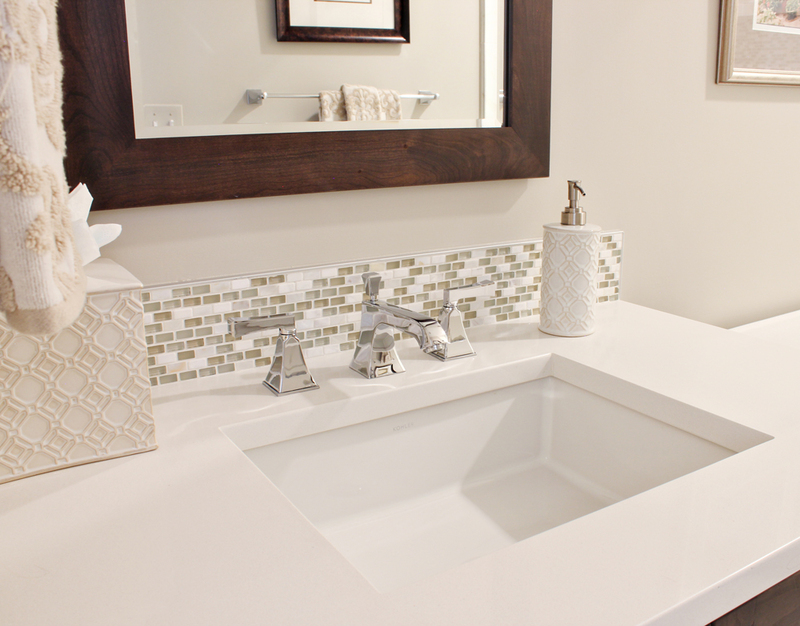 Above: The rectangular sink is complemented by glass mosaic tile and a Kohler Memoirs faucet. 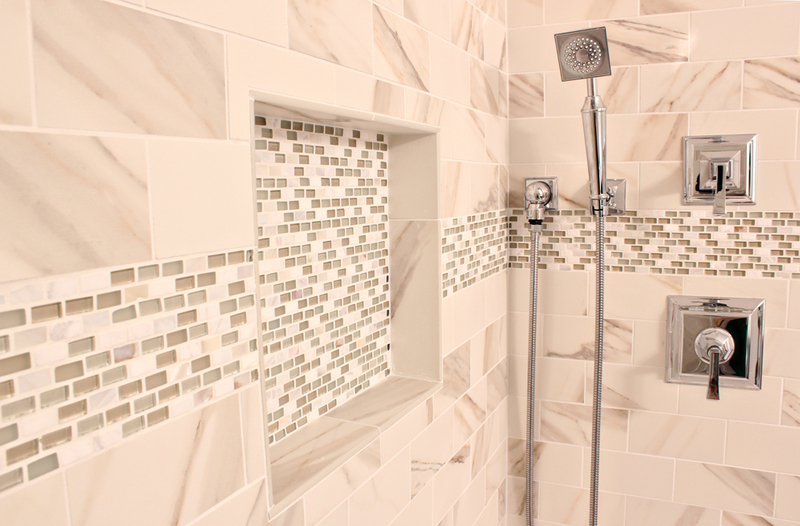 Above: The shower features chrome fixtures from the Kohler Memoirs collection and a custom niche tiled in glass mosaic.